In Dragon Age, choices matter. It has always been important for us that our fans have complete control and freedom in shaping their Dragon Age world. The decisions you make, the foes you vanquish, the relationships you forge. It’s all important and needs to be honored. Many of you have been wondering how your choices from Dragon Age: Origins and Dragon Age II will be supported in Dragon Age Inquisition. Today, I’m here to give you information on exactly that. 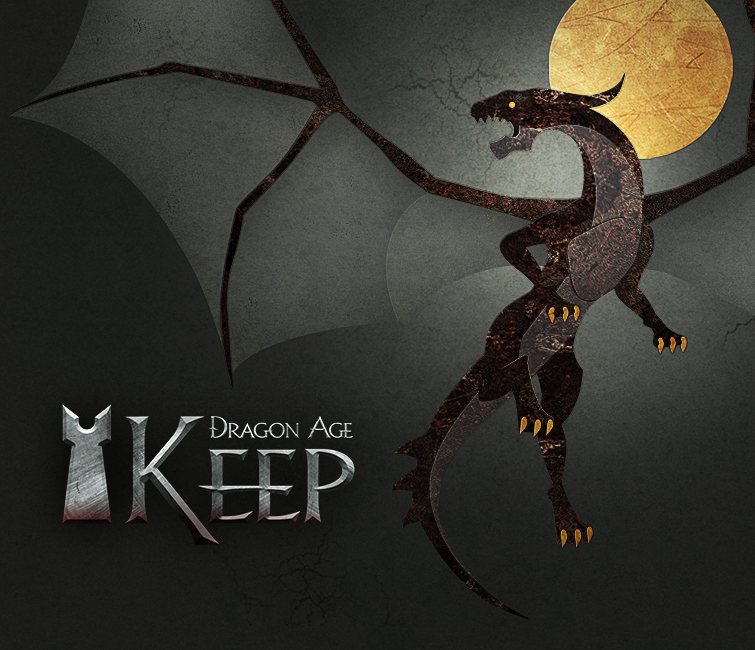 I’m excited to announce the Dragon Age Keep. Within the Keep, you’ll be able to customize a Dragon Age historical world state to your exact specifications. How did you modify your Warden and Hawke? Who were your companions? Who did you choose to romance? Who rose to power, and who fell in defeat? What legacy did you leave? Within the Keep, you’ll be able to customize as much or as little about the world of Thedas as you wish. Then you’ll be able to import your saved world state into DAI at the start of a new game. Have you lost or corrupted your save files? No problem — remake your world state on the Keep, and preserve it for the future. For those folks new to the Dragon Age franchise, the Keep will serve as a great way to understand the people, places, and events that shaped the world leading up to DAI. I’d like to give some history on how the Keep came into existence. Very early in the planning of DAI, we began to think about how we were going to address the issue of importing save game files. We were dealing with a brand new game engine, plus the next generation of consoles. It was a priority that our fans be able to have their decisions carry forward, regardless of their past or future platform. We realized that in order to make this work, we’d have to look into a cloud-based solution. Moving to the cloud allows players to take their unique world state into any platform (present or future) and even other media. For existing fans, an advantage of being in the cloud is that (if you are ok with spoilers) you can fully explore what-if scenarios, and become aware of events and consequences in our past games that you may not have known were possible. You can then fire up the previous games and go exploring for those moments. Even if you don’t go back and re-play the previous games, you can still establish that scenario as part of your world state, and import it at the start of a new DAI game to see the consequences of your actions. What about actually importing your save games? We are continuing to investigate ways in which save files from previous games could be used to populate the initial world state of the Dragon Age Keep. We’ll provide more information on this in the months to come. Choices in our games are immense, and on occasion subtly perceived. In some cases, the consequences of decisions you’ve made in a past game won’t reveal themselves until some future story. Handling all these permutations is complex. Really complex. Tracking all possible prerequisites and potential knock-ons, even just to create the simple acknowledgement of a choice is very detailed — and prone to error. As an example, an import from DAO to DA2 brought across something in the order of 600 different data points, most requiring complex logic solving to answer correctly the question of “how did the player settle this choice at the end of the game.” As a result, some current save imports are buggy, which is our fault, and something we’re committed to fixing. Permanently. The Keep allows us to do just that. Users of the Keep won’t have to suffer with these types of logic inconsistencies any longer. Starting today, you can visit the Dragon Age Keep and register for its beta, set to kick off early next year. We’re eager to hear your feedback and get your impressions before it launches publicly in 2014. The Keep will be available to everyone a few months before DAI gets released, in order to give fans plenty of time to experiment with scenarios and make their history exactly how they want. More to come soon, and thanks for reading.